What is the cheapest way to get from Courmayeur to Novara? The cheapest way to get from Courmayeur to Novara is to bus which costs 15€ - 22€ and takes 3h. What is the fastest way to get from Courmayeur to Novara? The quickest way to get from Courmayeur to Novara is to drive which costs 23€ - 35€ and takes 1h 53m. Is there a direct bus between Courmayeur and Novara? 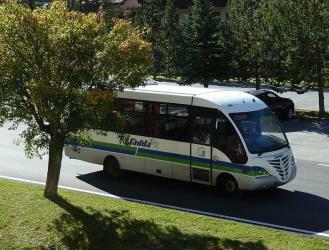 Yes, there is a direct bus departing from Courmayeur and arriving at Novara. Services depart four times a day, and operate every day. The journey takes approximately 3h. How far is it from Courmayeur to Novara? The distance between Courmayeur and Novara is 134 km. The road distance is 176.1 km. How do I travel from Courmayeur to Novara without a car? The best way to get from Courmayeur to Novara without a car is to bus which takes 3h and costs 15€ - 22€. How long does it take to get from Courmayeur to Novara? 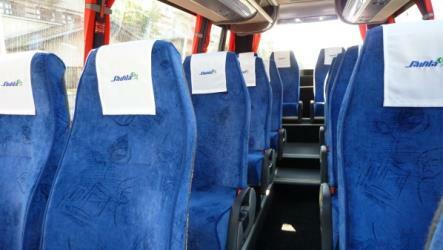 The bus from Courmayeur to Novara takes 3h including transfers and departs four times a day. Where do I catch the Courmayeur to Novara bus from? 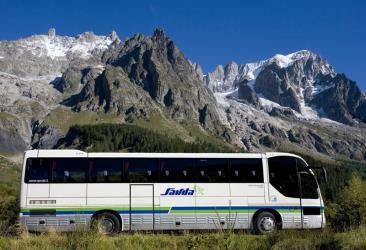 Courmayeur to Novara bus services, operated by Savda, depart from Courmayeur station. 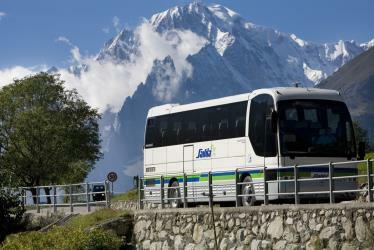 Where does the Courmayeur to Novara bus arrive? Courmayeur to Novara bus services, operated by Savda, arrive at Novara station. Can I drive from Courmayeur to Novara? Yes, the driving distance between Courmayeur to Novara is 176 km. It takes approximately 1h 53m to drive from Courmayeur to Novara. What companies run services between Courmayeur, Italy and Novara, Italy? 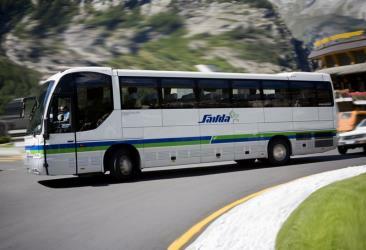 Savda operates a bus from Courmayeur to Novara 4 times a day. Tickets cost 15€ - 22€ and the journey takes 3h. Volandia (full name: Volandia – Parco e museo del volo, Italian for Park and Museum of Flight) is an Italian aviation museum, located near the Malpensa Airport in the comune of Somma Lombardo, in the Province of Varese. Housed in the former industrial premises of the Caproni company at Vizzola Ticino, the museum was established in 2010, after a 10-year preparation phase. Nibbiola (Piedmontese: Nibiola) is a comune (municipality) in the Province of Novara in the Italian region Piedmont, located about 80 km northeast of Turin and about 10 km southeast of Novara. Vigevano Cathedral (Italian: Duomo di Vigevano, Cattedrale di Sant'Ambrogio) is a Roman Catholic cathedral dedicated to Saint Ambrose and located in the Piazza Ducale of Vigevano, Italy. It is the seat of the Bishop of Vigevano. The present building dates from the 16th century, with a west front of the 1670s. Pombia Safari Park is a safari park, zoo and amusement park in Pombia, Piedmont, northern Italy, created by Angelo Lombardi in 1976; extending over an area of 400,000 square metres. After the gradual decline of the old structure, acquired by Orfeo Triberti, owner since 1999, the park has undergone a remarkable recovery and expansion in the years ahead, it is presented as a reality more functional, consisting of two distinct areas: the entertainment area and the Safari Park. The Safari Park also has signed a collaboration in agreement with the Faculty of Veterinary Medicine of University of Turin on research projects that relate to the pathology and the welfare of farm animals and the conservation of species at risk of extinction. Rome2rio makes travelling from Courmayeur to Novara easy. Rome2rio is a door-to-door travel information and booking engine, helping you get to and from any location in the world. Find all the transport options for your trip from Courmayeur to Novara right here. Rome2rio displays up to date schedules, route maps, journey times and estimated fares from relevant transport operators, ensuring you can make an informed decision about which option will suit you best. Rome2rio also offers online bookings for selected operators, making reservations easy and straightforward.